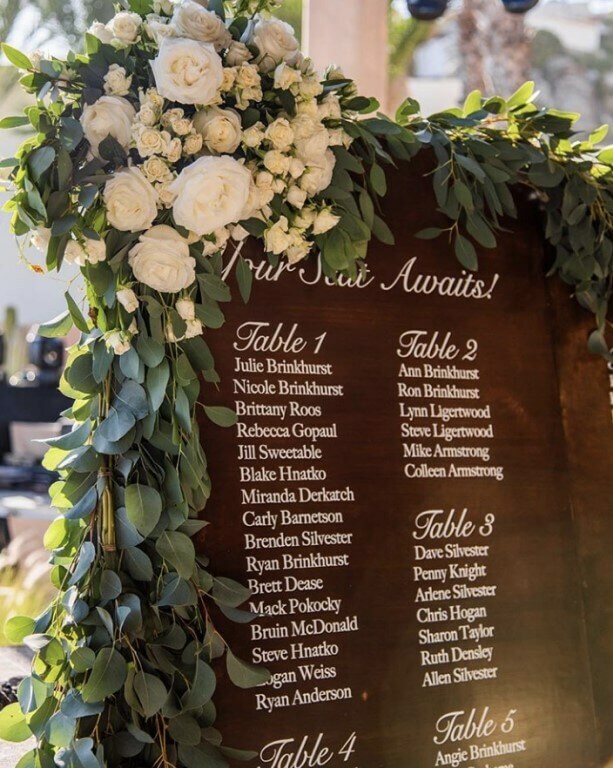 When designing an event, whether an intimate dinner party or an epic destination wedding, it’s often the little things that make all the difference. Those last ten words have been repeated so often that they’ve become a truism, particularly in design circles. But what do they really mean? More importantly, how can you use the implied lesson to make destination Cabo San Lucas events more memorable? In order to better answer the questions posed above, let’s play a little game. 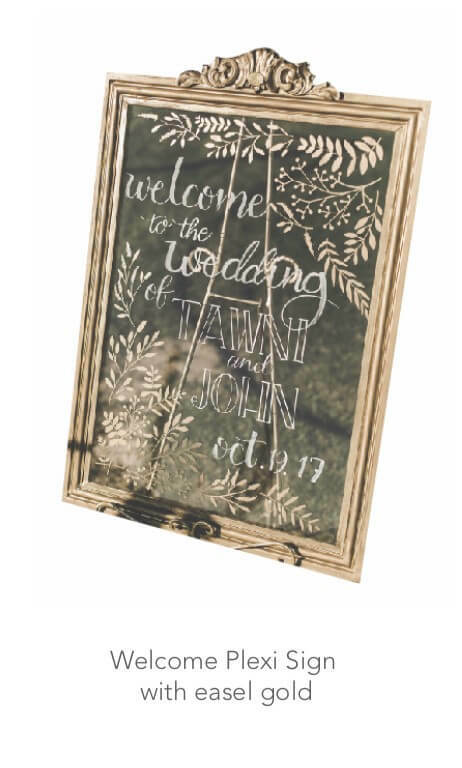 Close your eyes and imagine what you think of as a typical wedding. What sort of mental picture leaps immediately to mind? 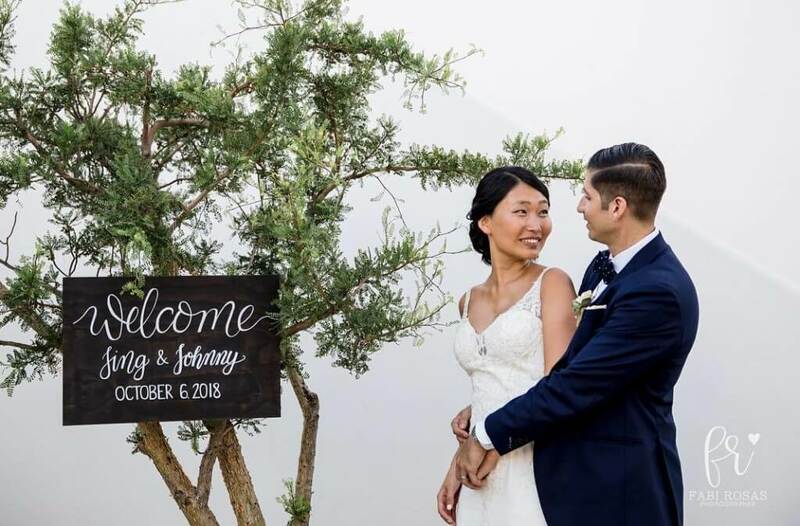 Your first impression is probably of a bride and groom, surrounded perhaps by wedding party members and vendors like musicians and photographers. Then what? 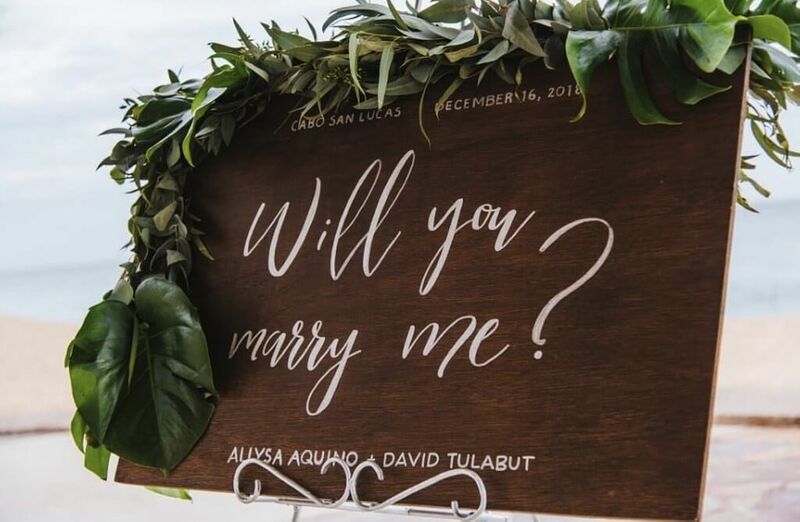 Maybe white-cushioned chairs lined up facing an altar, or round linen-topped dinner tables arrayed around a dance floor for the reception? 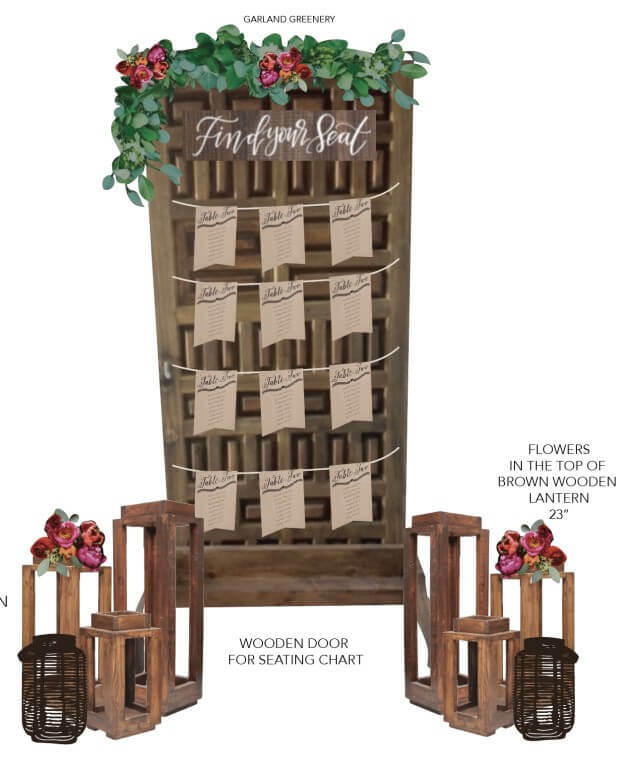 Basically, a collection of people, food and furnishings; disparate elements that include wedding standards like tiered white wedding cakes or flower-garlanded altars. For event designers, these standard images are helpful in terms of understanding people’s expectations of what a certain type of party should look and feel like…but also for subverting those expectations. You see, we all want our events to be unique and to offer unexpected twists, whether we’re designing them or attending them. So how does one design an event that appears recognizably appropriate for the type of party it is–birthday, dinner party, anniversary, wedding, etc.–but also looks and feels completely original in a way that captivates and enchants guests? The first step is looking at all the recognizable elements within the context of a digital design. 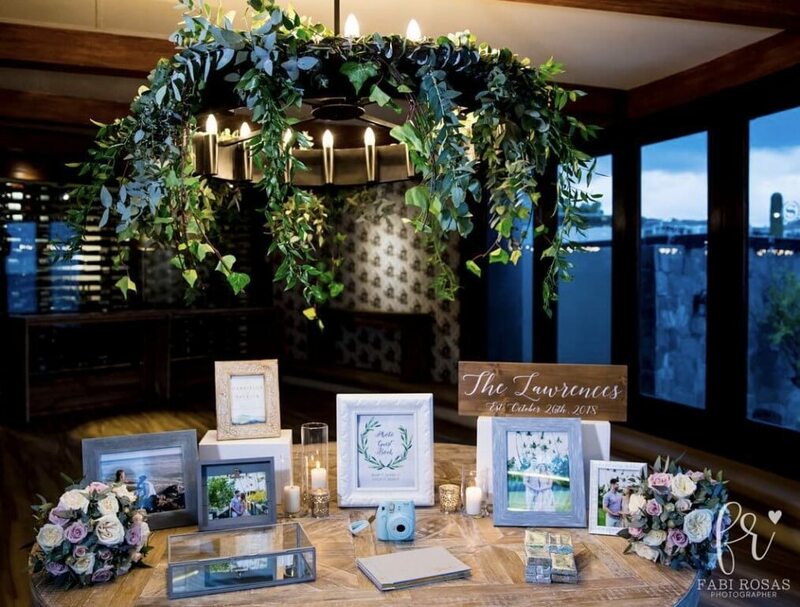 Once you’ve looked at an event this way–within the spatial boundaries of the chosen venue–it’s much easier to identity the unifiers or “accents” that will bring the overall design and décor elements together, and set a specific mood or vibe. Among these various unifying elements, none are as versatile, or offer as many creative possibilities as signs. Yes, signs. 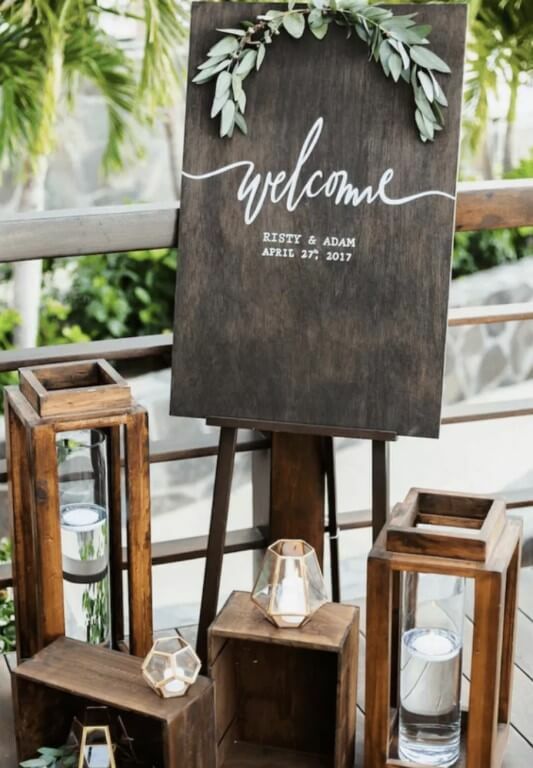 They may not be the sexiest of event accents, but few things have more influence over how guests perceive and process the design and décor around them. 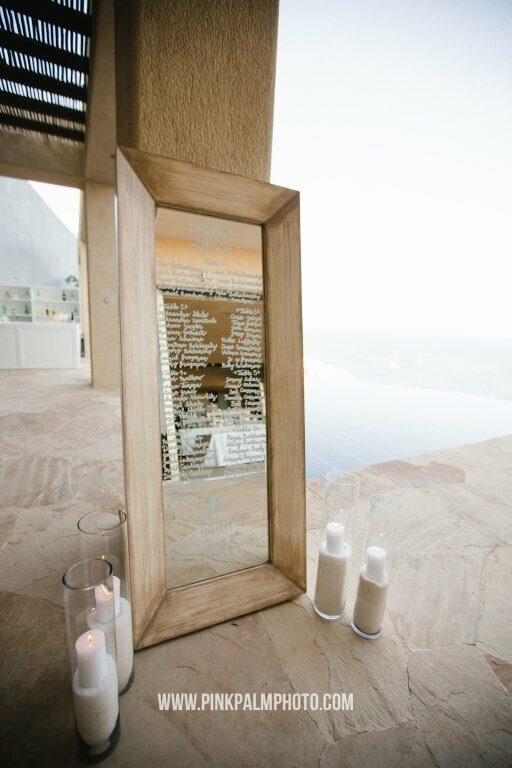 When we talk about signs for Cabo San Lucas events, what we’re really talking about is “indicators” that provide information to guests. 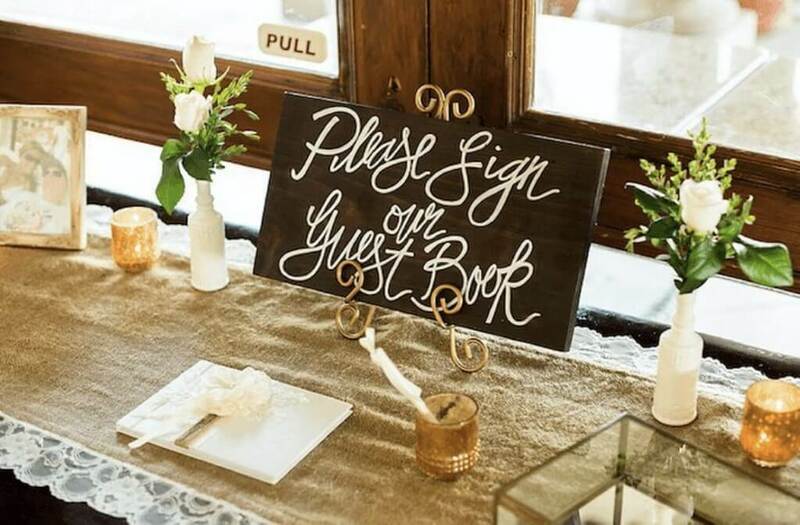 The most obvious examples of this are printed matter like invitations, name cards and dinner menus, which cue guests are such things as the location of the event, where they should be seated, and what they can expect in terms of food and wine pairings for dinner. 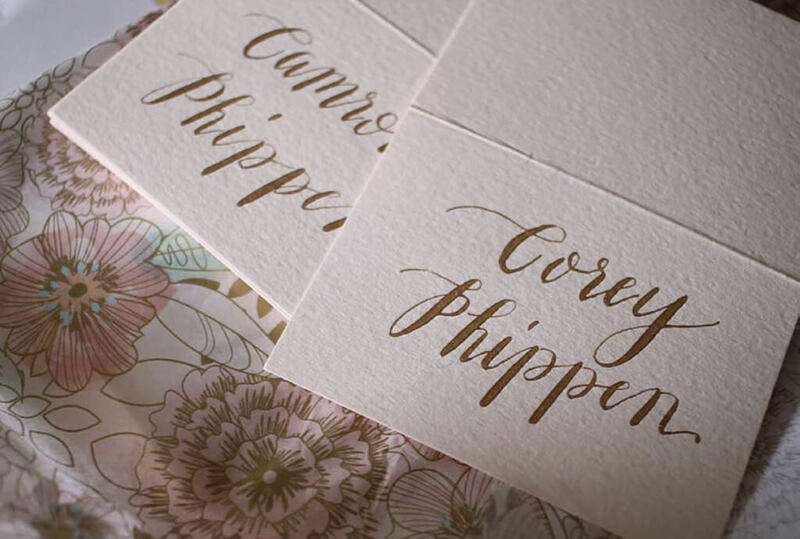 Printed matter can reflect the design style of an event–think elegantly scripted, gold-lettered invitations for upscale nuptials–but not nearly so overtly or effectively as traditional signage. Signs pass along more than just information; they are tangible influencers of mood. 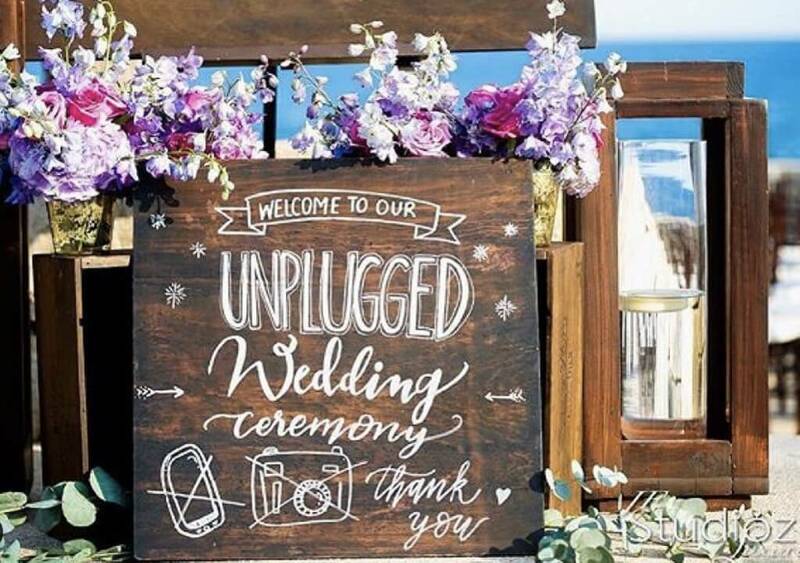 Good examples of this concept are wooden panels or chalkboards used to carry welcoming messages, or inspirational quotes, or even thanks to various people who have had an influence on your life, or helped directly to make the event possible. Never take signs for granted. They are potent symbols for your chosen design aesthetic, and help to tie all the divergent colors and patterns together. Let’s say your chosen party venue has several dedicated event spaces, all of which have been designed for specific standalone purposes (drinks, dinner, dancing, etc.). Signs are an excellent way to differentiate the subtly different design styles for each, as well as to signal the transitions between them. 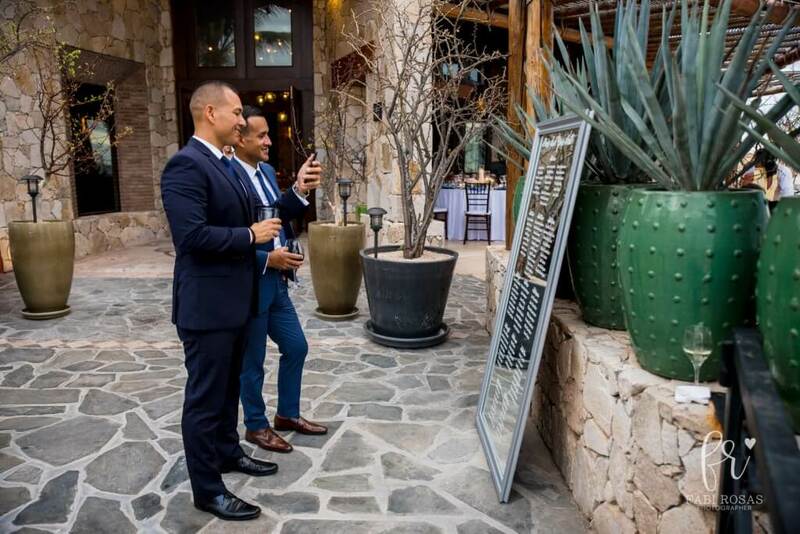 Signs can also be used to point the way to different attractions at “Cabo San Lucas events”. A welcome sign at a 4th of July or birthday party, for example, can be accompanied by arrow shaped signs pointing in the direction of the BBQ grill, the bar station, games on the beach, or a viewing platform for fireworks. 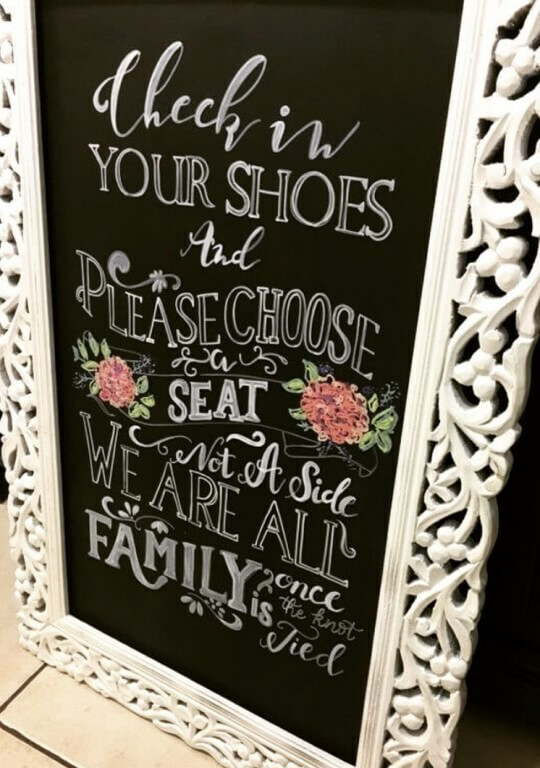 A sign doesn’t even have to have lettering to be effective, or to make an impression on guests. 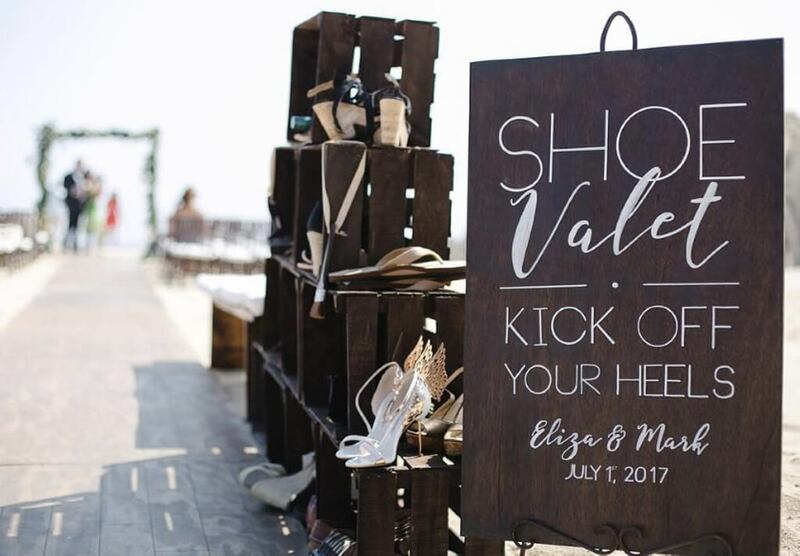 A sign can be as simple as a large arrow or painted footsteps, pointing people in the direction of a luxury villa, a dance floor or a buffet station. 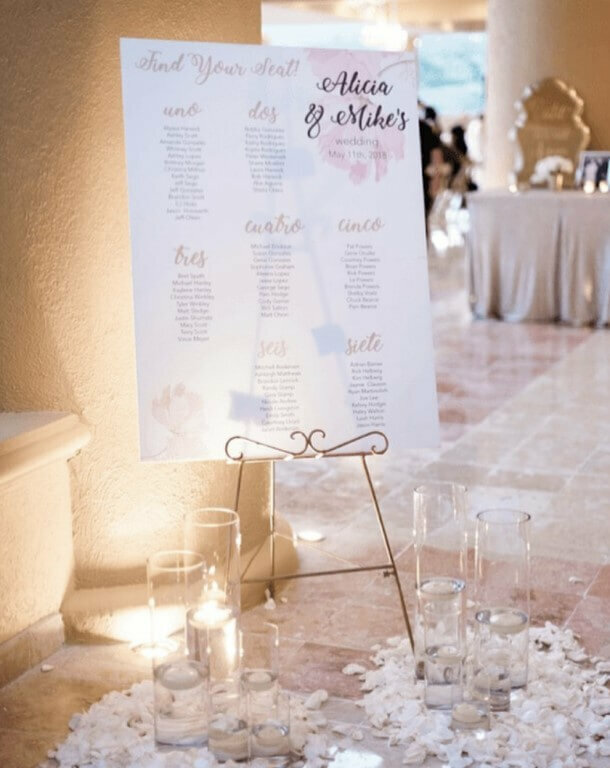 It can be a silhouetted cutout of a bride and groom, or even papeles picados, traditional Mexican colored paper cutouts of signature images which are strung overhead as an indicator of festive proceedings. Papeles picados, in México at least, are always a surefire “sign” that a party or special event is in progress. 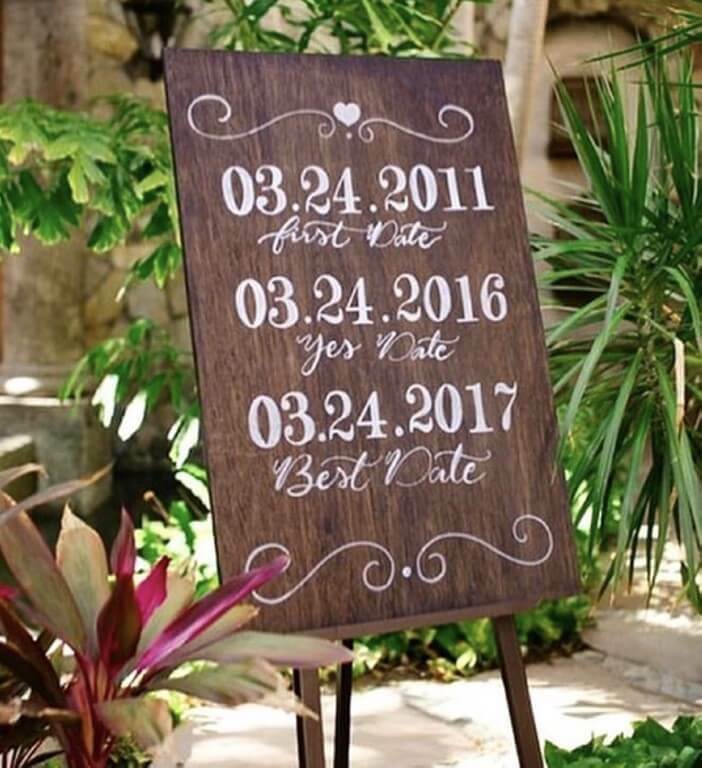 Signs can also be used to carry through a specific theme. 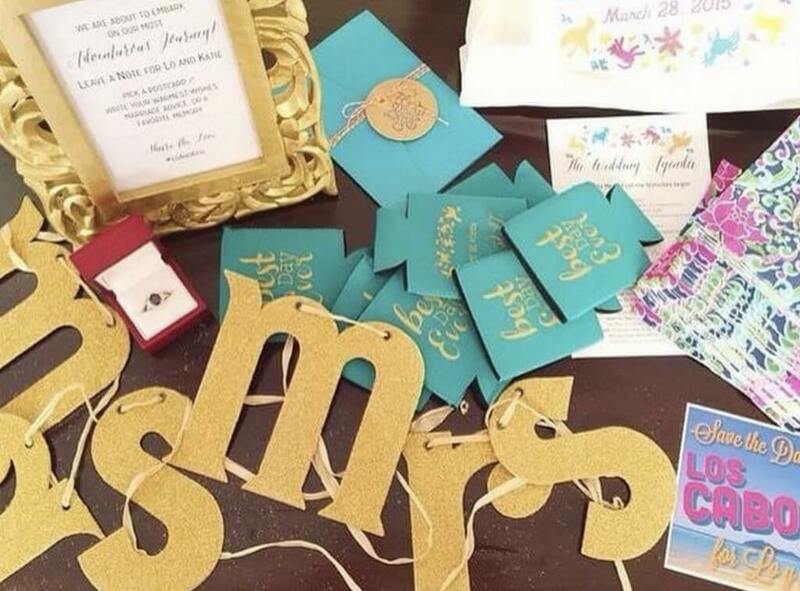 Say you’re throwing a birthday party for your spouse with a Jimmy Buffet theme. Special signs reading “Margaritaville” or “Cheeseburgers in Paradise”–famous Buffet song titles, in other words–can be used to brand stations serving up cocktails or hamburgers, respectively. Similarly, you could tab famous actors or movie titles, artists or celebrated events, using pop culture as a language that will be immediately understood by your guests, and appreciated for its creativity. You can even eschew words for visual language: for instance, photos of caricatures of historical characters to denote the national culinary style at various buffet stations (Julius Caesar for Italian food; Napoleon for French food; George Washington for American, etc.). Remember: the most important thing when attending a party is to have fun. 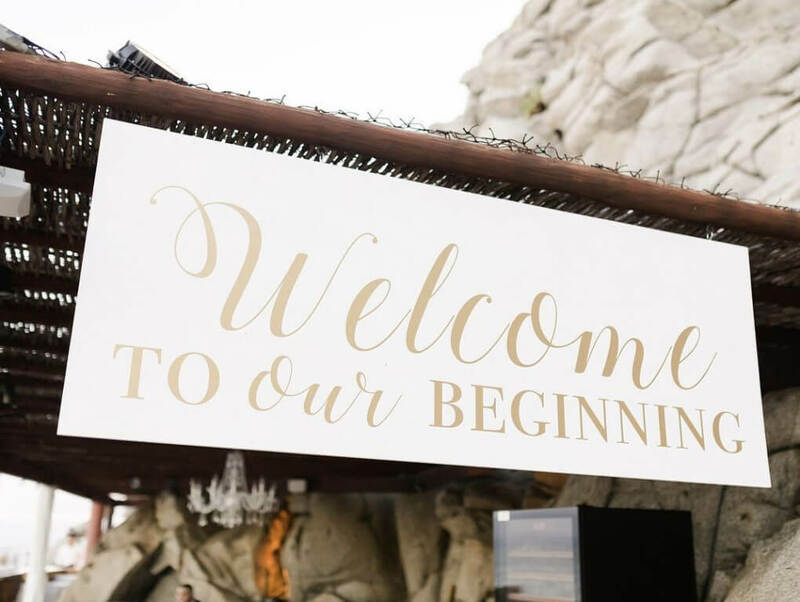 Apply the same rule when it comes to signage and you’ll have learned one of the top tips used by event professionals to add zest, humor and a unique creative dimension to their designs. 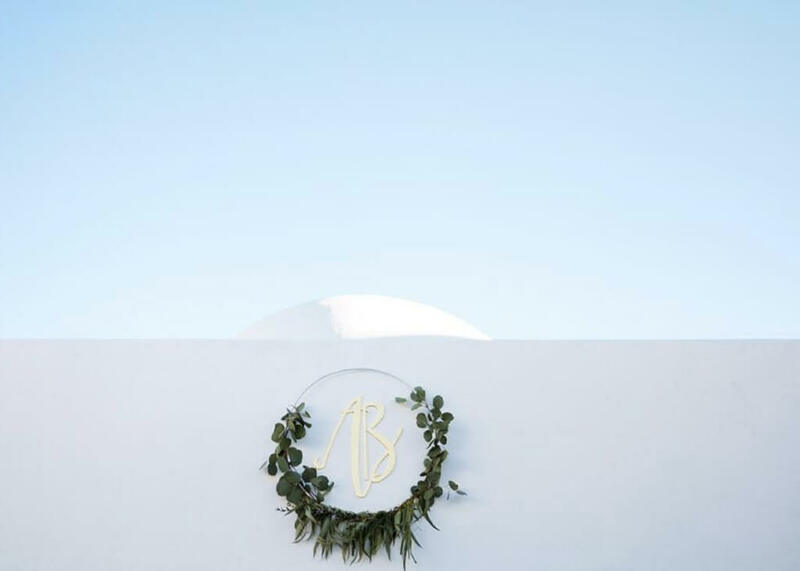 Cabo Linens, Things & More is the premier event design and décor firm in Baja California Sur, best known for our talented team of designers, but also acclaimed for our large inventory of event focused furnishings and accessories. 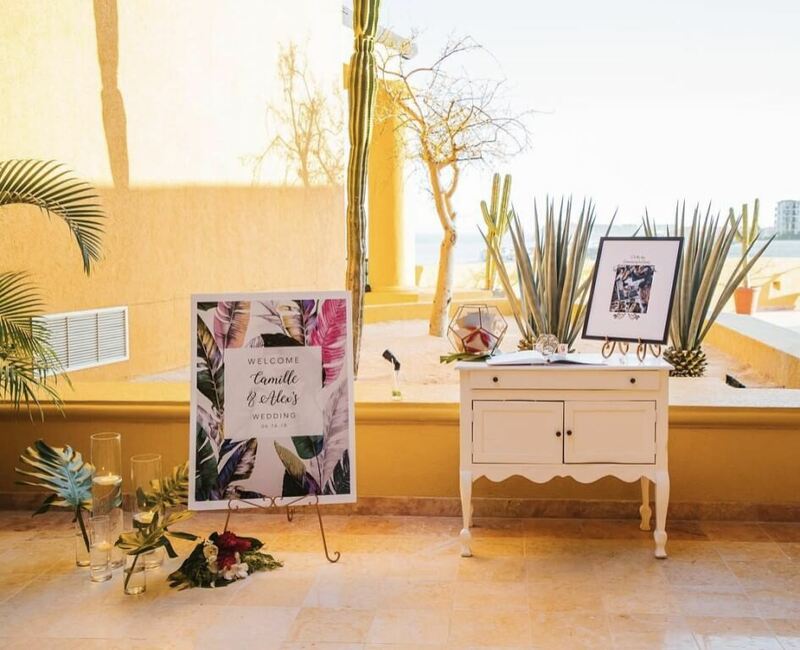 We’ll help you add signs and other creative design concepts to your Cabo San Lucas events, starting from an initial one-on-one consultation to help tease out your vision, then progressing to digital design models and three-dimensional floor plans before finally making the whole event experience come brilliantly, breathtakingly alive. No party is too small. 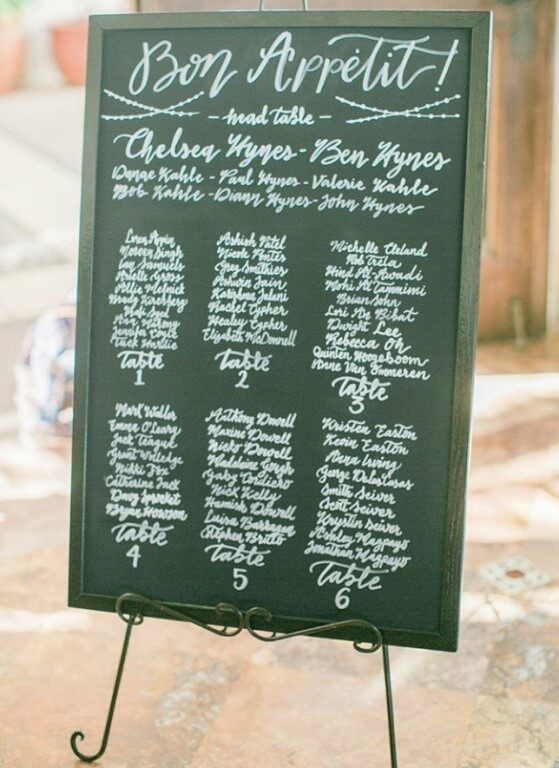 Whether its dinner for two or a wedding for 150, we’ll make your design shine. Call us today at (619) 819-9180 for an initial consultation. 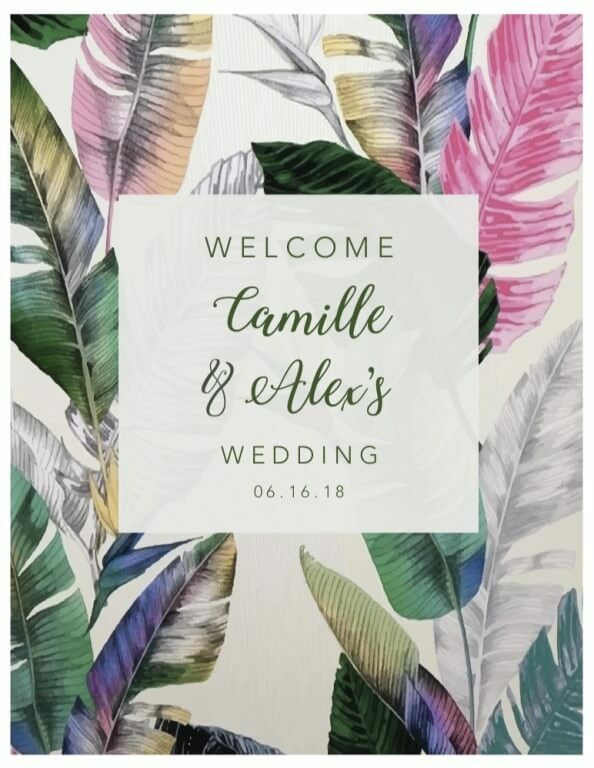 This entry was posted in Cabo event design and decor, Cabo Linens Things and More, Decor in Cabo, Destination Events in Cabo and tagged Cabo San Lucas Events.